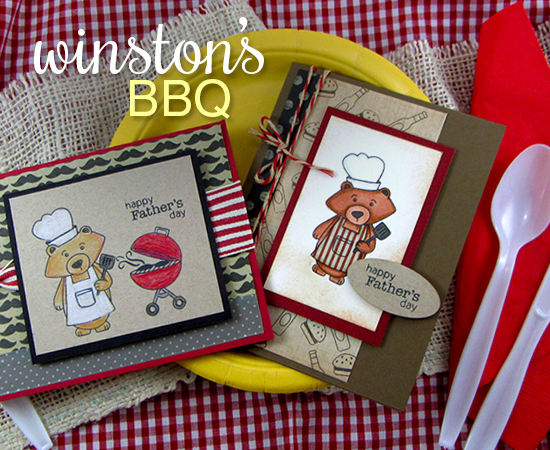 Today our second release day for May and we are featuring the set Winston's BBQ. Ready for some Winston Inspiration? 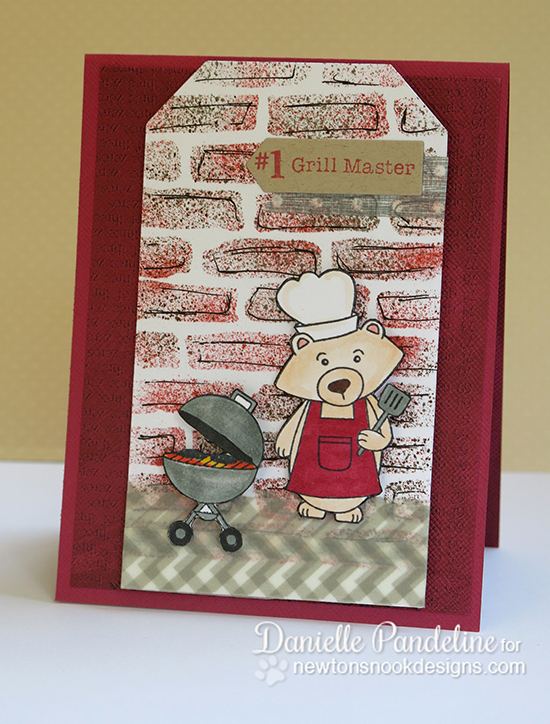 Guest Designer Kelly Santi created this fun and bright card using the grilling Winston bear image! I love her fun layout with the bit of corrugated paper & button - so fun! 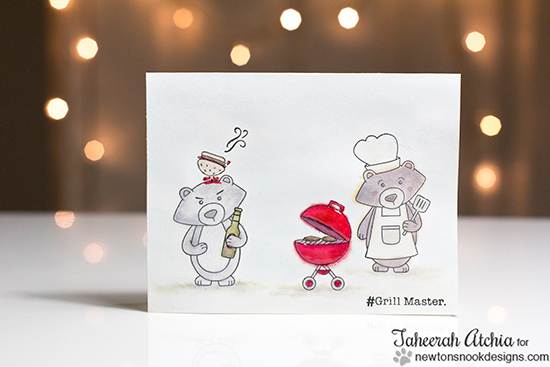 Guest Designer Tricia Traxler created this adorable card using the Grilling Winston bear image too - but she chose a totally different color combo of yellows and browns - so adorable! 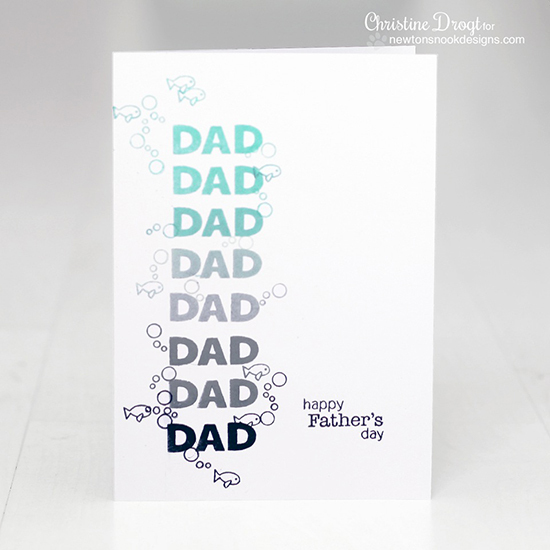 This card by Danielle has a great masculine feel - Love the colors! 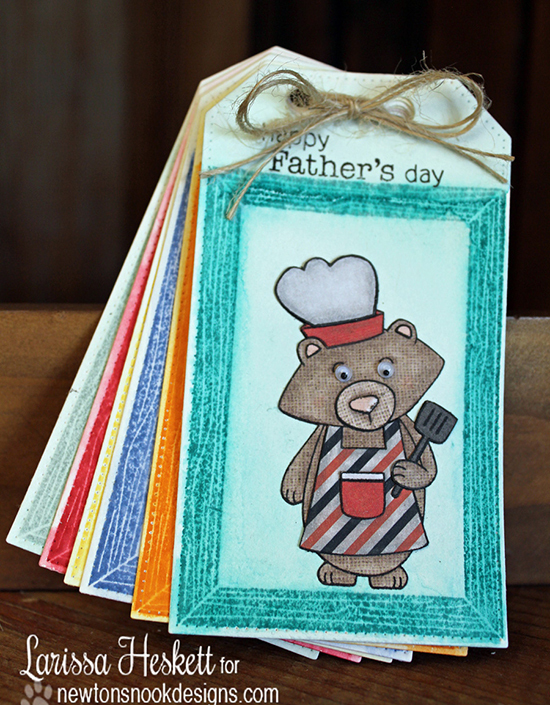 Plus, check out that fun brick background she created with distress inks! 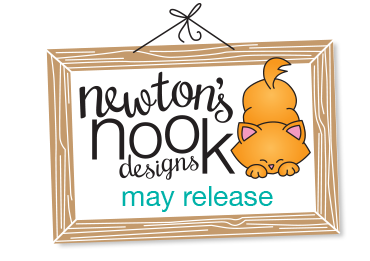 Larissa created a fun coupon book using Winston combined with the frame from the Around the House set revealed yesterday!! What a great gift idea! Crafty Math-Chick created a pocket-style scrapbook page - Here's a sneak - but make sure to check her blog for more pictures! 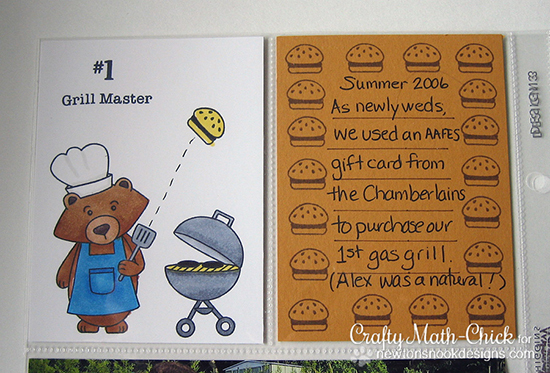 Valerie is on a roll with her shaker cards lately - Love this one with the floating Burgers and Beer! 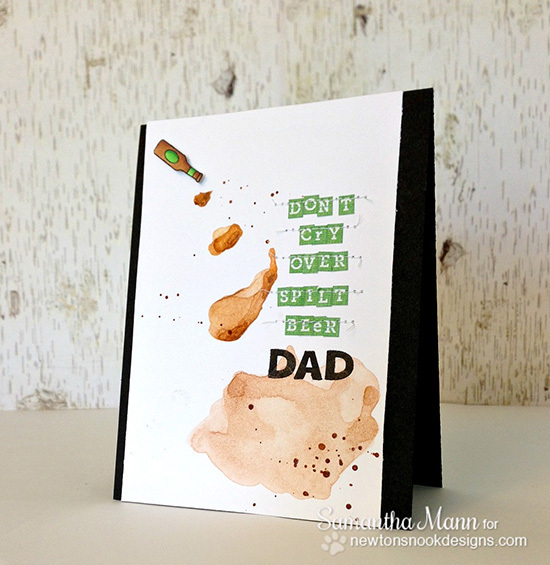 Samantha's card has a fun twist - fun watercolor splotches made to look like split beer! Here's a funny bear scene by Taheerah! This one makes me laugh out loud!! 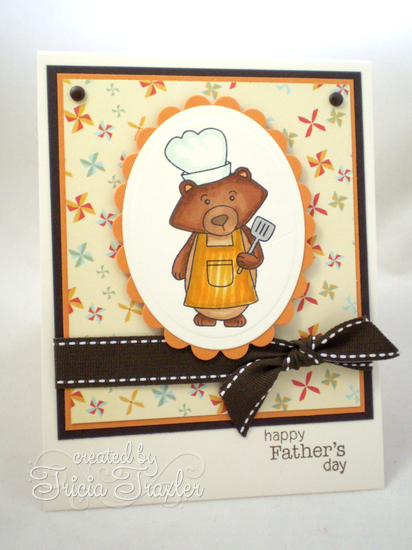 Tessa created this fun masculine card - perfect for Dad!! Love the bright red grill! Would you like to win “Winston's BBQ”? Winston as a grill master is adorable. One of my sons is the grill master in our house. Winston, You are looking quite handsome as a grill master! Great DT projects! Gahhh...I meant Winston...WINSTON!! Silly me!! I'm glad I'm not the only one who got Winston re-named. Loved the projects on the hop. So many items in the set are appropriate to my male friends - this one is on my shopping list. 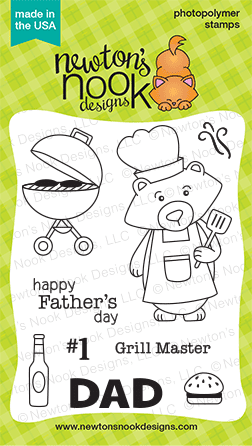 wonderful BBQ stamp...this would be so perfect for all the Dads I know who love to BBQ! Great set for father's day...thanks so much for sharing these great examples too! Such a cute set! The perfect stamp set for Father's Day! Wow, another fun set of stamps to make great cards with. ha ha ha ha!! these projects are SO AMAZING!! seriously, wow! and jennifer - your cards are INCREDIBLE! i love how you colored them! and the striped apron on the card on the left is so smart!! love love love love love!! 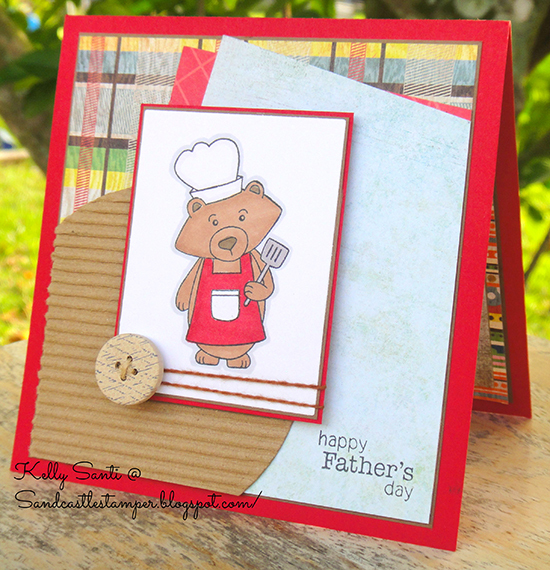 Very cute bear cards! Love this release! So adorable! LOVE that little burger! LOVE Winston, in any role, and your DT had such fun with all the extra images in this set! Winston looks great in his chef's hat and apron, all ready to grill! 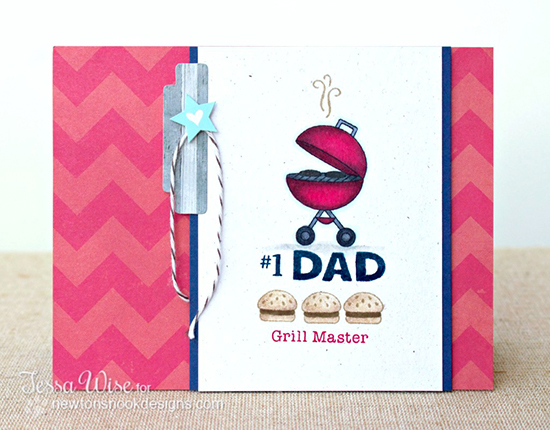 My hubby is a grill master for reals, this would be the perfect set to make him a card for Father's Day! The DT are so clever - I love the cards, and Winston is adorable. This set is so perfect! I just love it! Such a fun selection of cards today! Winston looks so cute in his apron!